Currency wars are one of the most destructive and feared outcomes in international economics. At best, they result in countries stealing growth from their trading partners. At worst, they degenerate into inflation, recession and real violence. 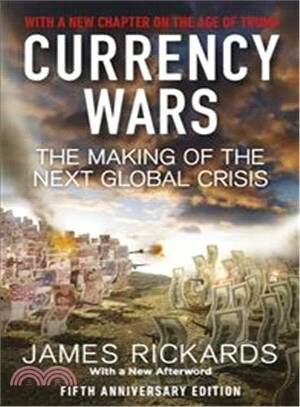 In this fifth anniversary edition, James Rickards concludes that currency wars are as problematic now as they were in 1971 when President Nixon took the dollar off the gold standard. Headlines about the debasement of the dollar, bailouts in Europe and Chinese and currency manipulation are all indicators that we're entering an even more dangerous phase. In this post-Trump, post-Brexit world of political uncertainty, James Rickards, New York Times bestseller and Strategic Adviser to the US intelligence community, argues that this is more than just a concern for economists and investors. The world is facing growing threats to its national security - from clandestine gold purchases by China to the hidden agendas of sovereign wealth funds. Left unchecked, the next currency war could end with massive casualties on all sides.